Power Through: 3 Quick and Easy Ways to incorporate Organic Muscle into your morning routine. Let’s face it. Life can get busy. Have you ever found yourself rushing to get out the door in the morning and wishing you had the time to make yourself something relatively healthy for breakfast? You ignore this thought, and hop in your car anyways and make your way down to your local McDonalds. You order, and regret begins to set in immediately. That Egg McMuffin just doesn’t taste as good the 3rd day in a row. You’re also beginning to realize that it’s probably not the greatest thing for you to consume on a daily basis either. Good News! There are an endless amount of recipes out there to help you regain control of your breakfast routine. These recipes are quick, easy, and surprisingly healthy! 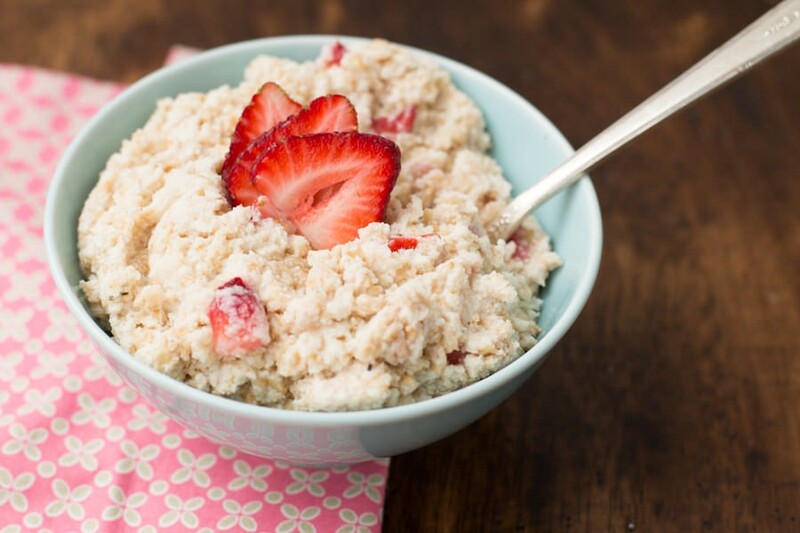 We’ve compiled a list of our 3 favorite recipes using our Organic Vanilla Vegan Protein Powder for you to start your morning off on the right foot! 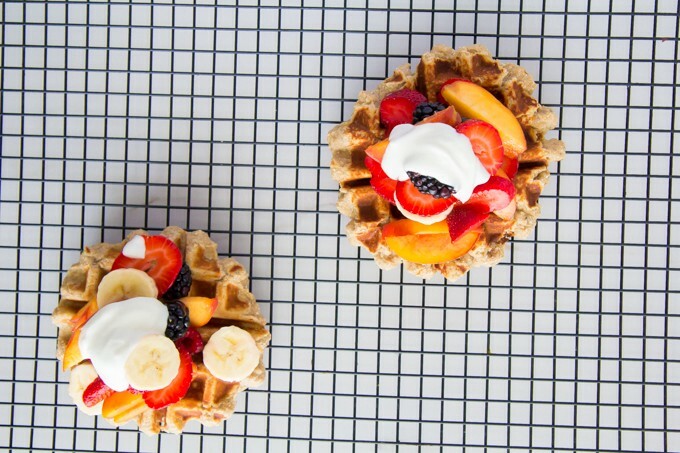 These delicious waffles are an amazing (and delicious) way to begin your day! You can never have too many waffles in your life. Especially these super healthy ones! In a bowl, combine flour, Vanilla Vegan Protein Powder, coconut flour, cinnamon and salt (all flour should be spooned into the measuring cup and leveled off…not packed into the measuring cup). Add in milk, mashed bananas and vanilla. Stir just until a batter forms. Make sure to grease the waffle maker REALLY well with non-stick spray. These waffles really like to stick so be liberal with your application. Seriously. Cook the waffles on medium heat until cooked. Top with fruit andCoconut Noosa Yoghurt. We love this recipe because of how easy it is to make! It’s also jam packed full of protein to keep you full and energized throughout your morning. Place the milk in a saucepan, whisk the protein powder and heat over medium heat until warm. Add the oatmeal and cook over low heat for 5 minutes. Remove from the stove and stir in the berries, and you’re done! Enjoy this delicious breakfast! Quick and easy! 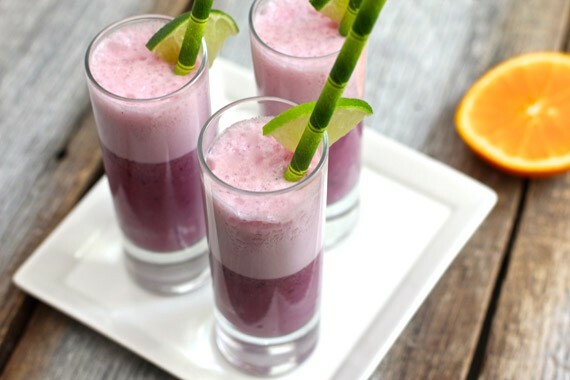 These smoothies can be made in minutes and taken on the go for those days when you’re extra rushed. Combine all of the ingredients in your blender in the order given. Blend until smooth, and enjoy immediately! These are just a few of many easy, delicious, and healthy recipes that you can incorporate our Vanilla Vegan Protein Powder to supercharge your morning routine. The internet is full of great recipes for you to try! Anywhere a recipe calls for vanilla protein powder just simply add a scoop and you’re good to go! What recipes have you tried? Which ones do we need to try? We’d love to hear your favorites! Tweet us, or you can post them to our wall on facebook!